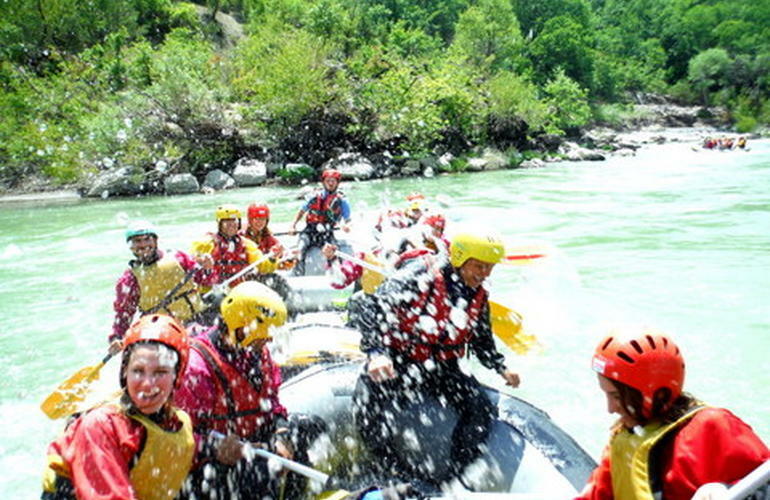 Rafting on Aliakmonas is a special experience you shouldn't miss if you are around Meteora, Kalambaka or Grevena. 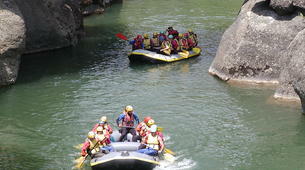 A suitable experience for both adventurers and family who are looking for a day of fun in nature. 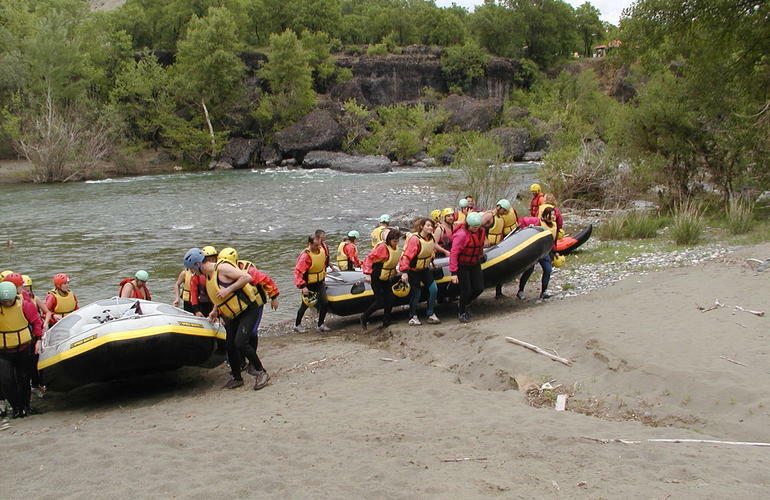 While rafting on Aliakmonas you will have the chance to be together with your group of friends and family in a boat seating 6 people. 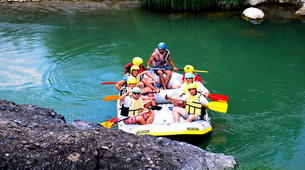 Under the guidance of your experienced instructor you will be going down for 6 km the longest river in Greece (322km). 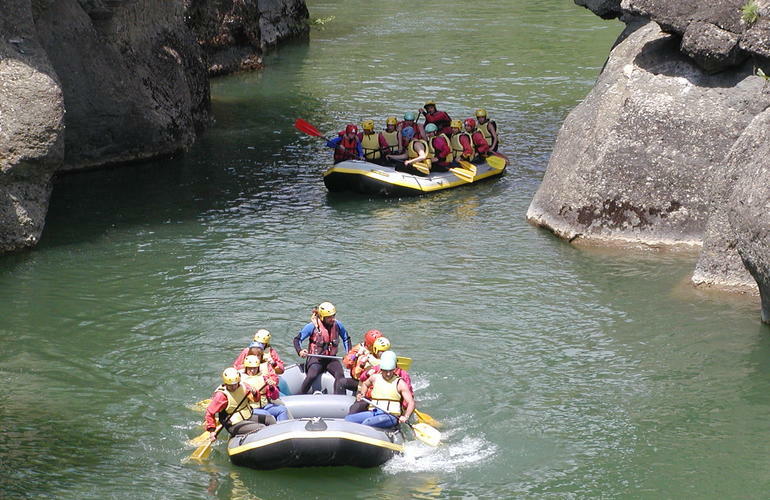 A day of fun and adventure awaits you on Aliakmonas and the green forestry surrounding it. 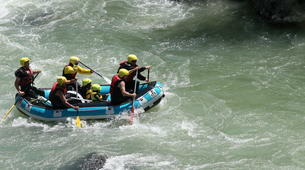 This white water rafting experience is of medium grade of difficulty making it easily accessible to everyone. Doesn't matter if you have never tried it before... your guide will be constantly there to help you out and show you around the area. What's even better? 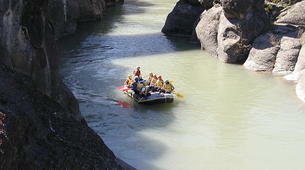 The experience is offered year round, so you can enjoy it during winter, autumn, spring and summer. 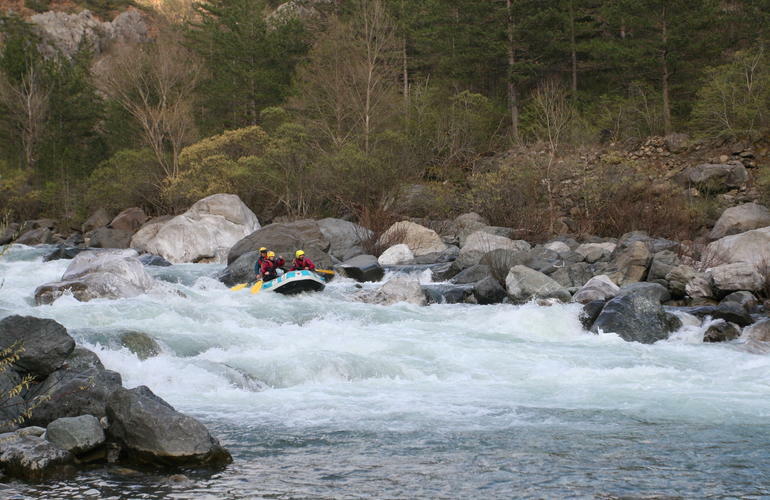 During spring and winter the river is filled with water. 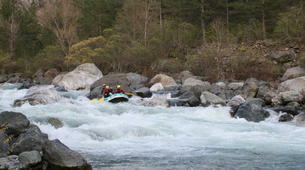 You will surprised to find even waves when going down. 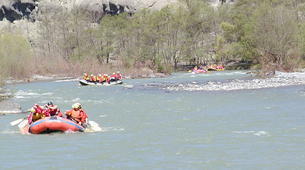 During summer and fall the water level is lower but the water is warmer. 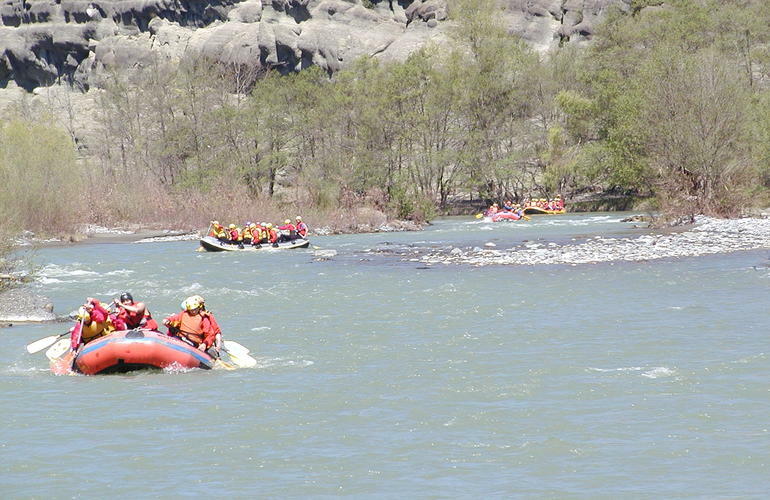 It's the perfect river to enjoy year round. 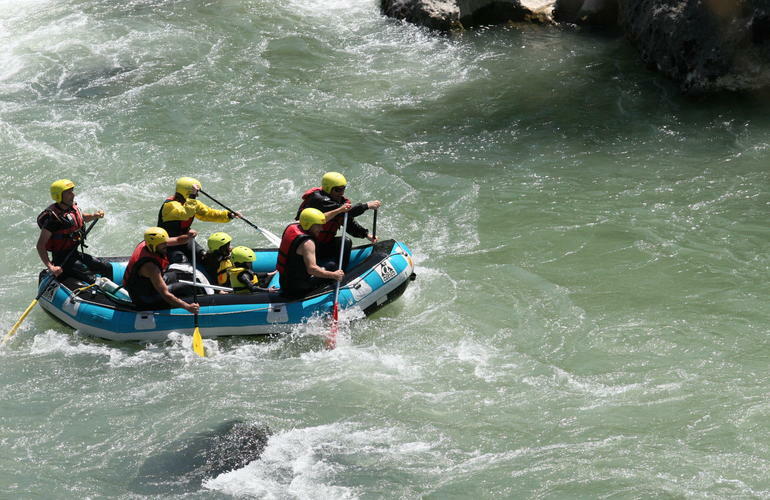 You will meet with your Pro at the base centre in Felli village, and then get transferred to the starting point for the rafting. 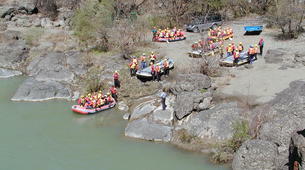 Once you will get informed on a few minutes briefing about what will follow, you will start descending Aliakmonas river for 2 hours approximately. 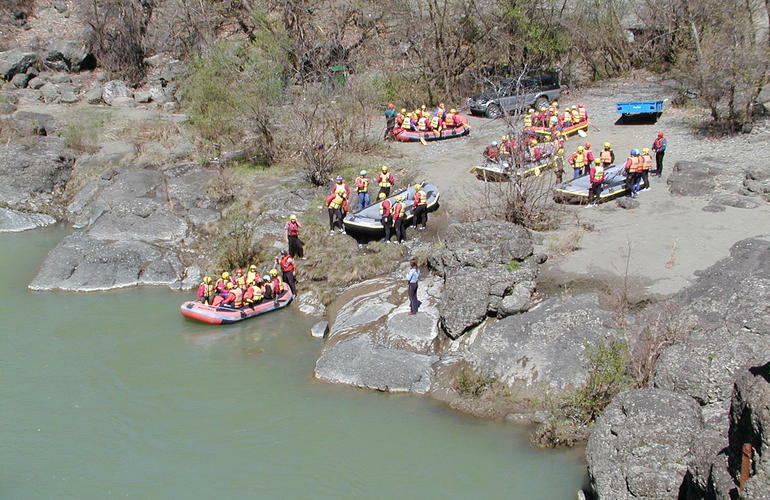 Directions to the rafting base of Greek Adventure Grevena in Felli village. · Coming from Grevena: You will take the road to Kalampaka (Meteora). 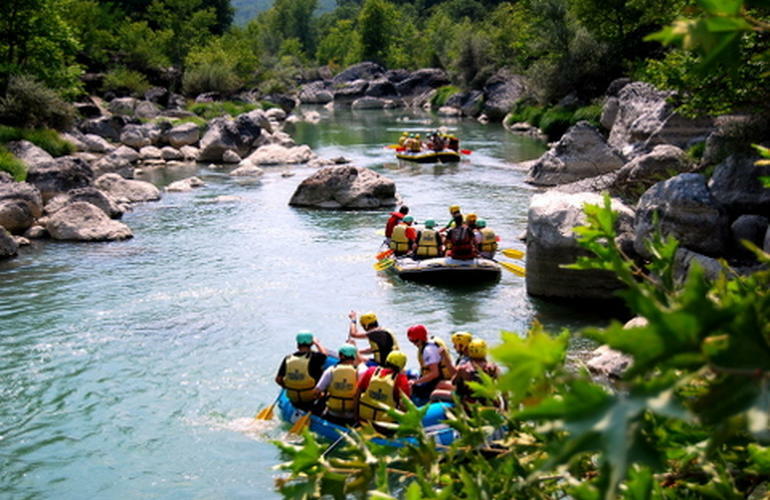 Arriving at Eleftherohori village (situated on the left side of the road) you turn left towards Felli village and then follow the signs for Greek Adventure rafting base. · Coming from Kalampaka (Meteora): You take the road to Ioannina. After 10 km at the road junction you turn right to Grevena. You keep following signs to Grevena. At 45m (counting from Kalampaka) you will pass through Agii Theodori village. 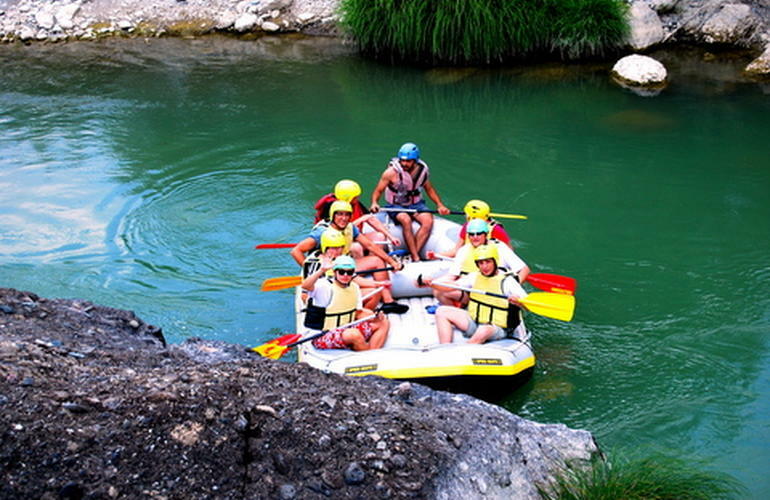 1 Km after village Agii Theodori there is a sign at your right for Greek Adventure rafting base at Felli village. 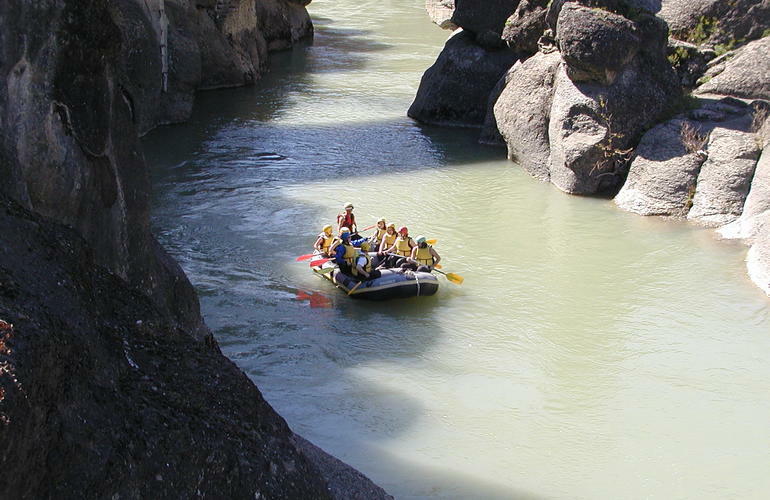 Once you will get informed on a few minutes briefing about what will follow, you will start descending Venetikos river for 2 hours approximately. Venetikos river is the longest tributary of Aliakmonas and lies entirely in the prefecture of Grevena. 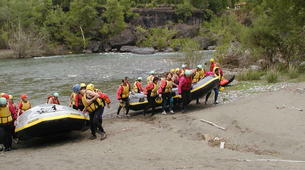 During the activity you can discover that the river forms many different habitats. 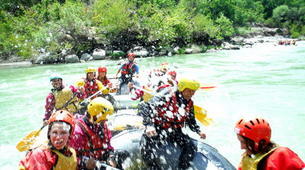 The Rafting activity starts from the great “Gates of Venetikos “and finish at the beautiful village of Agapi Grevena.